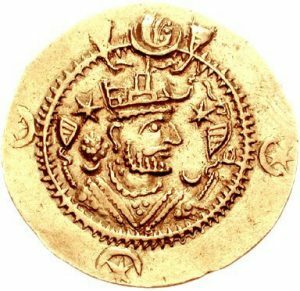 In 500 AD, in the early Middle Ages, the Sassanian empire in Iraq and Iran was falling apart, just like the Roman Empire further west. King Kavadh had almost no power. Province after province was declaring independence. While the leaders were Zoroastrians, most of the people were Christians or Buddhists or Jews, and they were always fighting about it. Times were hard for everybody. A Zoroastrian man, Mazdak, started to preach about a new way. Mazdak said that he was a prophet for the main Zoroastrian god, Ahura Mazda, though other Zoroastrians hated him. Mazdak’s thinking may also have been influenced by local Manichaeans. He probably got ideas from Gnosticism and Neo-Platonism too. Like Jesus, Mazdak rejected formal religion, with its priests and ceremonies, and thought people could and should work out their relationship with God on their own. He said people could get closer to God by being kind, and friendly, peaceful and non-violent, and vegetarian. Mazdak wanted people to live simply and share what they had with other people. And he probably also, like the later Cathars, treated women as people – as equal to men – rather than as property. Mazdak’s movement was popular, and soon there were tens of thousands of Mazdakites – his followers. Even the king, Kavadh, became a Mazdakite, hoping that he could break the power of the Zoroastrian priests and the noble families and get more power himself. With Kavadh’s help, the Mazdakites were able to stop wars, distribute food and money from government warehouses, and close most Zoroastrian temples. In return, the Mazdakites probably helped Kavadh to centralize power in his own hands, getting it away from the rich families and priests. But it was all too good to last. About 520 AD, the rich families and priests organized a backlash, and King Kavadh was almost overthrown. Frightened, once he was back in power he gave up Mazdaism. 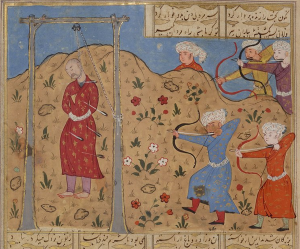 Kavadh’s son Khosrau arrested and executed Mazdak and thousands of his followers. The rest hid their beliefs or went into hiding. But for hundreds of years, there were still Mazdakites fueling other populist reform movements like the Shiites, or the Twelvers. Cite this page: Carr, K.E. Who were the Mazdakites? Sassanian reformers. Quatr.us Study Guides, March 20, 2018. Web. April 23, 2019.